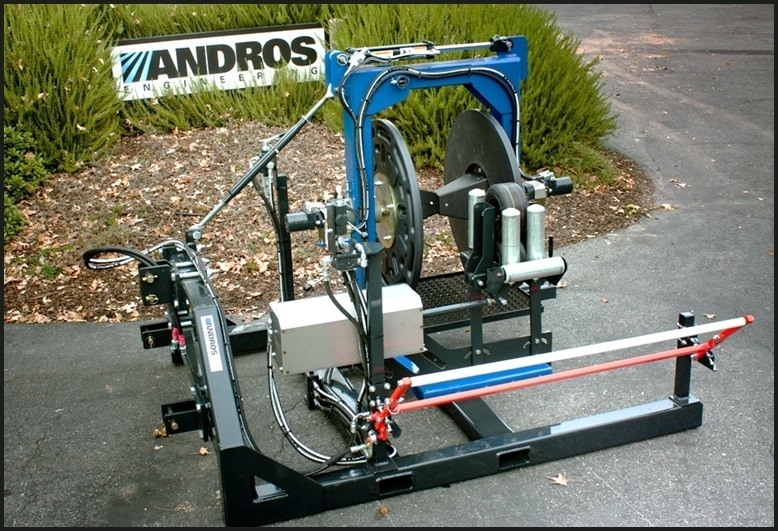 The UltraBinder, by Andros Corporation is an end-of-row retrieval system designed specifically for recycling drip tape. This unique retrieval system creates uniform, dense rolls of used drip tape. It attaches to your tractor's 3-point and auxiliary hydraulics systems to create stackable, pallet-ready rolls, ideally suited for recycling. Multiple lines can be retrieved simultaneously and additional lines can be fed onto the growing roll of tape while the UltraBinder-Compactor is retrieving, allowing continuous operation of the machine, and a very efficient retrieval process. 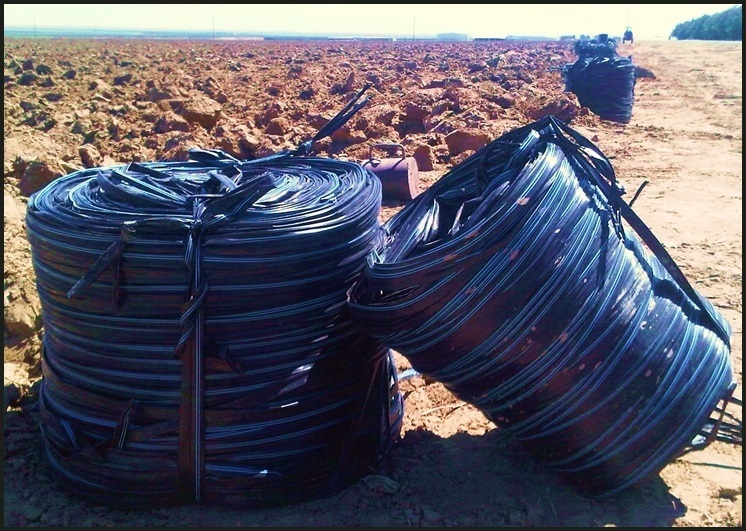 A tensioning system is incorporated into the traverse head helping to create very tight dense rolls. 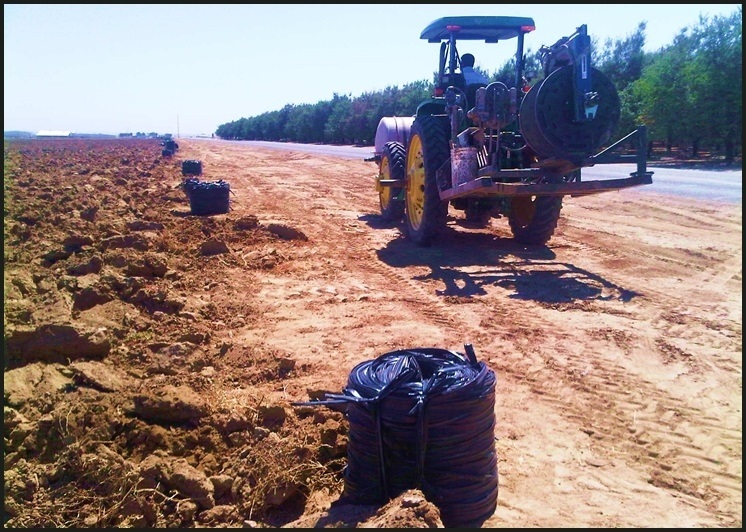 Roll densities are equal to, or greater than, those obtained by other densification techniques, such as baling, but at a much lower cost. 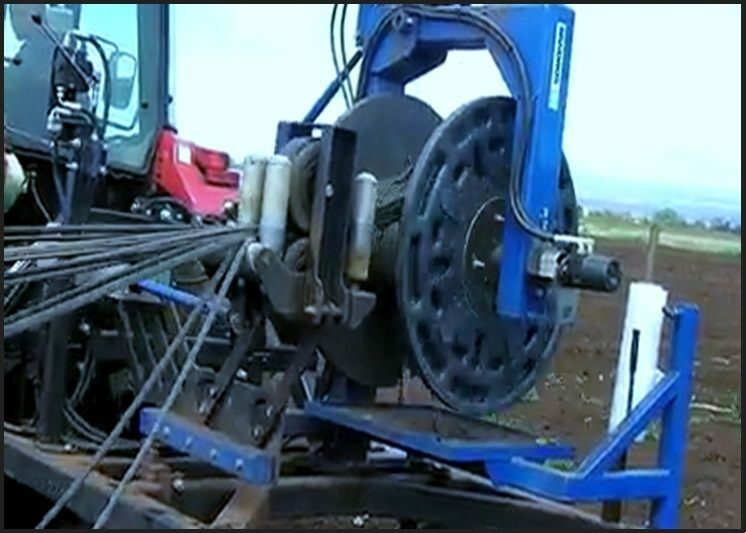 Combining the retrieval and densification process into a single operation creates a highly efficient process that is less expensive and safer than multi-step systems such as collection and baling. Rolls are hydraulically ejected from the winding arbor and onto a swinging table that allows the operator to start a new roll and continue retrieving while off-loading and palletizing the previous roll. 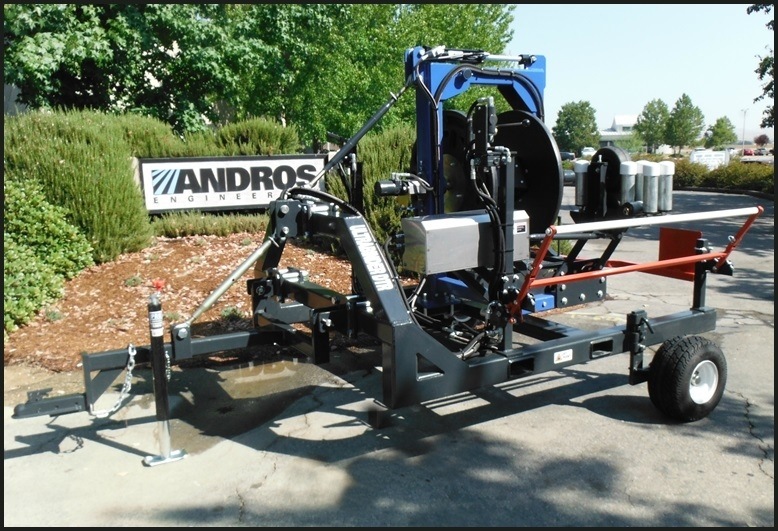 Used in conjunction with an Andros tape extractor, buried tape can be lifted from subsurface depths of 12+ inches and retrieved in a condition that is clean and dense enough to be readily accepted by your plastics recycler. The Andros UltraBinder-Compactor provides you with the most cost effective way to turn plastic film into a recyclable commodity.